Often referred to as "The Paris of the North," Riga offers thriving nightlife and some of the best collections of Art Nouveau architecture in Europe. Take a break from Riga with a short trip to Salaspils Memorial Ensemble in Salaspils, about 30 minutes away. On the 29th (Thu), enjoy a perfect day by the water at Jurmala Beach. 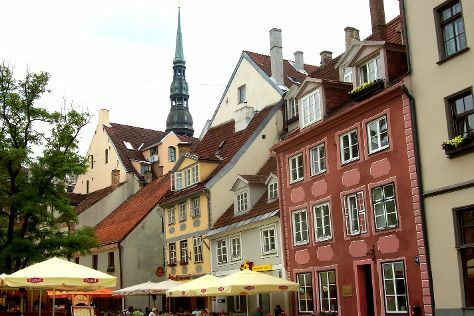 And it doesn't end there: wander the streets of Old City Riga (Vecriga), examine the collection at Latvian Ethnographic Open Air Museum, admire the landmark architecture of House of Blackheads, and make a trip to Riga Town Hall Square. To find reviews, traveler tips, photos, and more tourist information, refer to the Riga trip itinerary builder. If you are flying in from Australia, the closest major airport is Riga International Airport. In September, plan for daily highs up to 20°C, and evening lows to 9°C. Wrap up your sightseeing on the 4th (Tue) early enough to drive to Ventspils. Ventspils is a town in northwestern Latvia in the historical Courland region of Latvia, and is the sixth largest city in the country. Start off your visit on the 5th (Wed): get lost in a book at Pārventas bibliotēka, then see the interesting displays at Ventspils Museum, and then stroll through Ventspils Beach. To see other places to visit, photos, traveler tips, and tourist information, read Ventspils vacation trip planner. You can drive from Riga to Ventspils in 2.5 hours. Alternatively, you can take a bus. 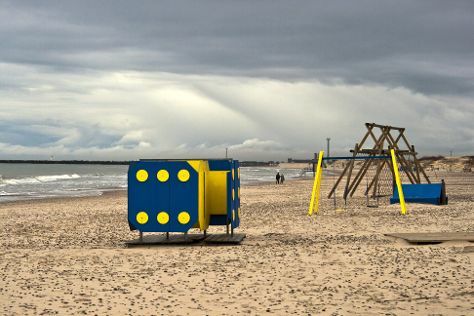 In October, daily temperatures in Ventspils can reach 13°C, while at night they dip to 5°C.